The island of Trinidad once had more than 50 distilleries, but by the middle of the 20th century, they were down to just eight. Similarly, Islay Scotland was once home to 23 distilleries! Caroni was the second to last distillery on Trinidad and was shuttered in 2002 after the island sold the distillery and the Caroni warehouses to Angostura. Italian Luca Gargano, owner of the spirits importer Velier, visited the distillery in 2004 and decided to buy its stock of rums. There’s always something sad about drinking a rum like Caroni, as you know that each sip leaves one less sip left in the world. 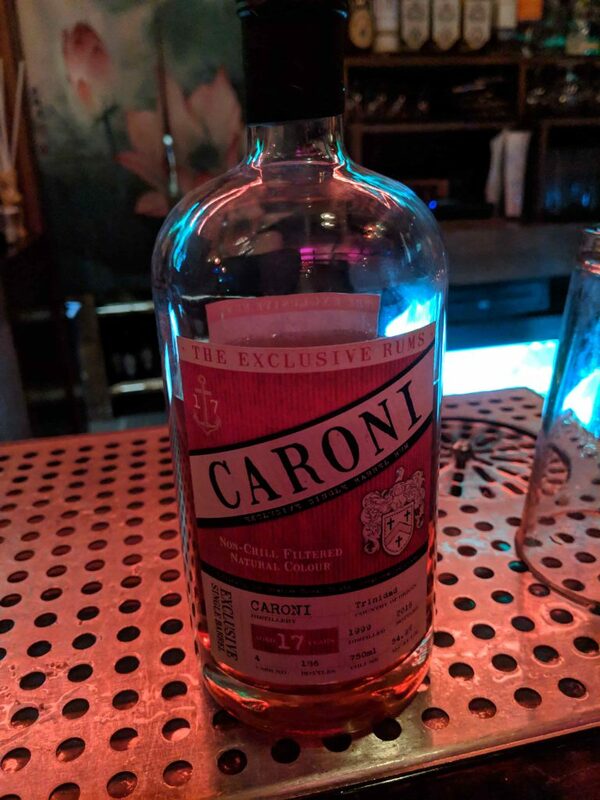 Caroni used to sell rums to the British navy, and as is typical for the navy style, their rums are very heavy and have long, luxurious finishes. Nose: Smoky, medicinal and iodine Laphroaig-like note, burnt rubber and molasses. Palate: Full and rich molasses, toffee pudding. Ginger and honey. This is a rich and heavy rum. Could use a few minutes and a few drops of water in the glass to mellow out. If you’re a fan of heavy navy-style rums, or an Islay whisky drinker looking to try something new this is a great place to start. The exclusive rums, and their sister Exclusive Regions & Exclusive Malts, have some delicious independent bottlings. Founded in 1923 and shuttered in 2002. Famous for strong navy style rums, some of which went to the British Navy. Blended rums (made with both pot and column stills).